Characteristics of Premium Transit Services That Affect Mode Choice | Resource Systems Group, Inc. The purpose of this research for the Transportation Research Board (TRB) was to describe the most important factors that differentiate premium transit services from standard transit services and to quantify, for practical use, the magnitude of these distinguishing features. The research team’s goals were to improve the transit industry’s understanding of mode choice determinants, and to offer practical insights to the forecasting community so that mode choice models and transit path-builders can better represent and distinguish important mode characteristics. The inclusion of non-traditional transit service attributes to distinguish premium transit services, instead of modal bias constants, allowed the research team to remove modal labels from the models. This, in turn, reduced the bias constants for different modes in the mode choice models. 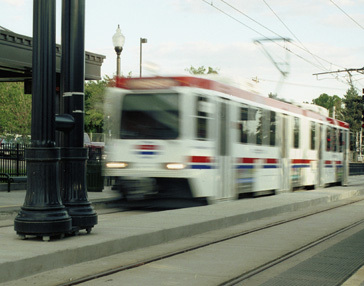 For this study, RSG designed and fielded a similar survey in three cities (Salt Lake City, Chicago, and Charlotte) in order to compare results from cities with very different transit systems. The survey was web-based and included a stated preference exercise and a MaxDiff “Plus” conjoint exercise to value premium transit attributes. Results included mode choice models and marginal rates of substitution for 20 premium transit attributes. RSG performed analysis on attitudes toward transit and sought to understand how awareness and consideration of transit affects mode choice.